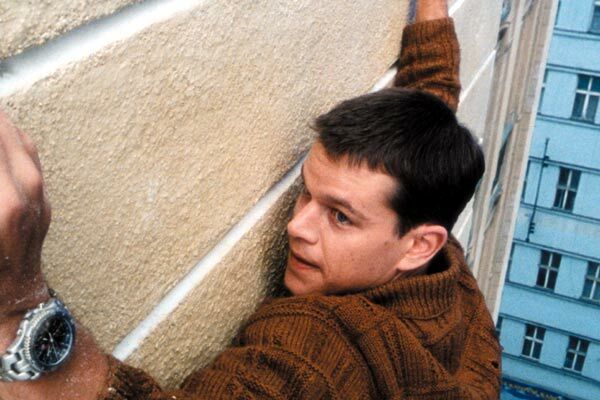 When Jason Bourne was first hooked out of the Mediterranean sea with bullet-holes in his body and plot-holes in his brain, few would have wagered that a) Matt Damon could convince as an amnesiac action-man and b) that The Bourne Identity could convince as a sleek spy thriller. But convince they do, with blistering unarmed combat, screeching chases and moral mugginess unfolding against a vivid European backdrop. Buddying with Franke Potente’s punky traveller to find out why scowly CIA bosses Brian Cox and Chris Cooper are out to finish him off, Damon makes for a gratifyingly human super-agent. Of course, doesn’t hurt one bit that he can rag a Mini like Charlie Croker and crack skulls like Jet Li, while hip-flick helmer Doug Liman’s kinetic lensing gives the action a fresh, frosty realism that feels distinctly anti-Hollywood. What a downer, then, to find the script steadily leaking momentum as it chugs through final-third convolutions that fail to camouflage the fact that Bourne Identity simply runs out of ideas. The film, like its befuddled protagonist, winds up with killer qualities but nowhere to run with them. Robert Ludlum was 40 when his first novel was published. He’d already spent a career acting in theatre and commercials. Ludlum never used a typewriter , preferring instead to jot all his novels entirely in longhand used a No2 pencil. Scripter Tony Gilroy says the Bourne role wasn’t written for Damon and that, initially, he was convinced that the actor was completely wrong for the part. According to UCLA shrink Dr Reef Karim, Bourne’s mental fog is called a “disassociative amnesiac state” by the men in white coats. The meaty growl of Bourne’s Mini Cooper was created by combining the sounds of a pitched-down motorcycle and an old Cadillac with the spark plugs ripped out. Damon had around three months of boxing, martial arts and weapons training to limber up for the film’s stunning fight scenes.